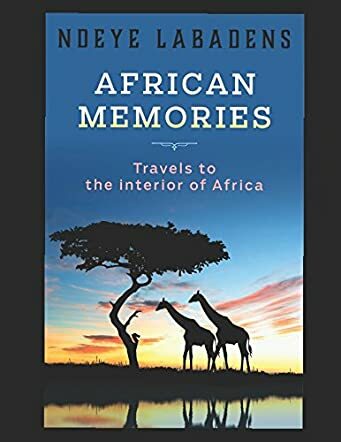 African Memories: Travels to the Interior of Africa by Ndeye Labadens is an exciting journey where readers are taken into the heart of Africa. The author captures the beauty, sights, and sounds of Africa in a way that readers will want to pack their bags and discover all the places there – whether it is Senegal, the author’s home country, or Ghana, The Gambia, Mauritania, Ivory Coast, Morocco, Cameroon, Nigeria, Egypt, Kenya, Libya, Benin, Cabo Verde, Mali, or the other places covered. The beauty of each country is displayed through stunning pictures that will make readers see the diversity of each place. Traveling is an education by itself and it exposes the traveler to life, people, and different cultures and surroundings with a different perspective. The author captures the nuances, the ambiance, and every small detail with enthusiasm, and gives readers the opportunity to experience the adventures of traveling to Africa. The vivid descriptions and detailed narration bring the places alive for readers, and the pictures help them connect well with the author’s words. It is a must-read for all those who love traveling to new destinations, seeking adventures and excitement. The book will make readers dream; the roads, the culture, food, people, and society are enticing and will give readers a sense of adventure and excitement that comes with traveling and exploring new places. The author makes Africa a dream destination through her photographs and narration! Reviewed by Mamta Madhavan for Readers’ Favorite.